At last the wristbands are here! As I’ve already mentioned: I am selling these for £1.50 plus p&p, and the profits are going to Crohn’s and Colitis UK. If you would like to get involved with this, please email me on: TomsCrohnsDiary@hotmail.com with your address and how many bands you would like to order. I can accept payment via PayPal, and will pass on details of this when I receive your email (please note: my PayPal email is NOT the same as the one I have given here.) If you are unsure on how to send money via PayPal, I’ve written a short guide which you can find here. I will post the bands once the payment has gone through. 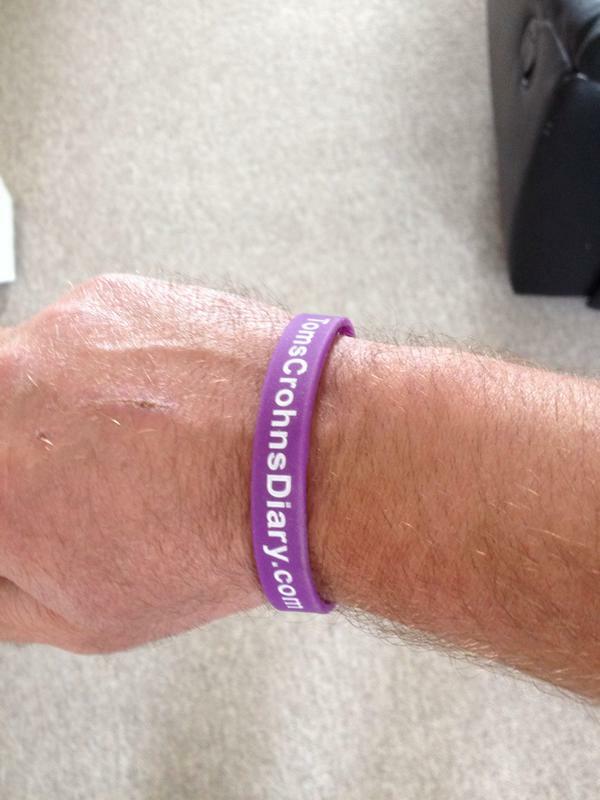 Thanks for supporting TomsCrohnsDiary and Crohns and Colitis UK! This entry was posted in Fund raising and tagged Charity, Crohns and colitis awareness, Crohns and Colitis UK, Wristbands. Bookmark the permalink. 3 Responses to Wristbands for sale!